After Stone Town, the village of Nungwi is the second biggest town on the main island (known as Unguja, but just referred to as Zanzibar island) of Zanzibar. 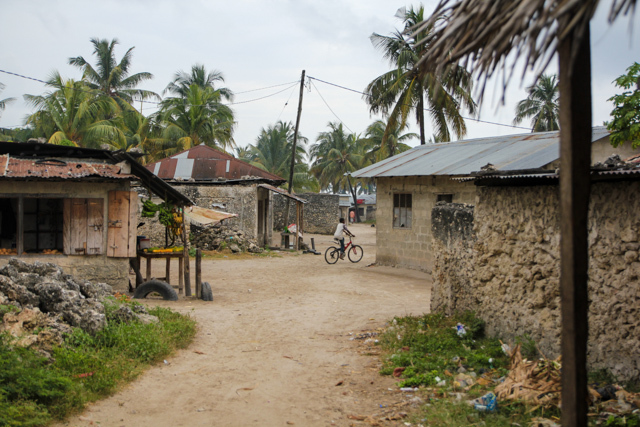 Nungwi is located at the very northern tip of the island, about a one hour drive from Stone Town. 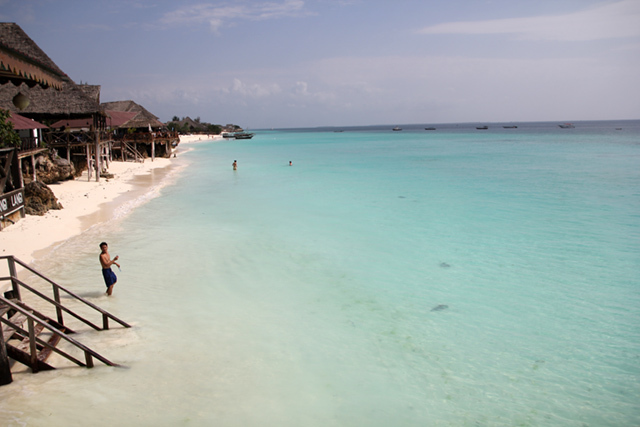 Though the village is known for a number of things, probably the most famous reason to visit Nungwi is to enjoy one of Zanzibar's most spectacular beaches. 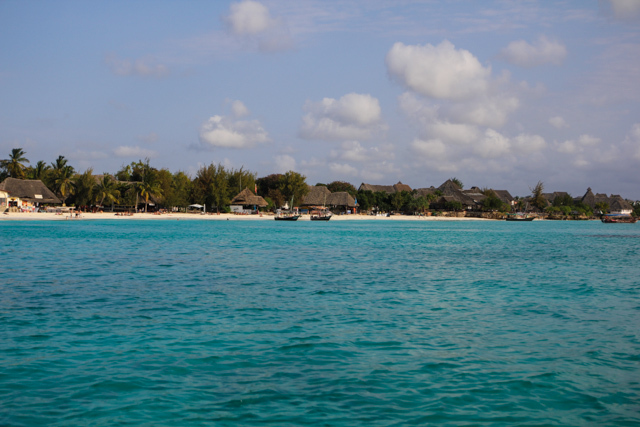 While the East Coast beaches of Zanzibar suffer from drastic low and high tides, where low tide makes it virtually impossible to swim, Nungwi's northern tip position sees little tide changes throughout the day. If you like crystal clear turquoise ocean water, where you will have the opportunity to swim in the warm water throughout the day, Nungwi is one of the best places to visit on the island. There are a number of large all-inclusive resorts in Nungwi, but you'll also find more affordable hotels, as well as a few budget style bungalows, all right next to the amazing beach. Nungwi is not only home to a wonderful beach, but it's a full village with a decent sized population (second largest on the island). Along with lazying by the beach, one thing you can do, either by yourself, or with a hired guide, is take a village tour. When I was in Nungwi, we took a guided tour of the village, which took a couple of hours, and our guide was able to walk us though areas of the village that I never would have discovered on my own. We went through the local market, went to the area where men were making dhow sailboats, saw ladies making baskets, toured a number of schools and mosques, and also visited the different political village group headquarters. Taking a Nungwi village tour was a great way to see local living in the community. Another thing you can do when you visit Nungwi, is go to Mnarani Natural Aquarium, which is not the most impressive aquarium in the world, but you will get to see sea turtles up and close. 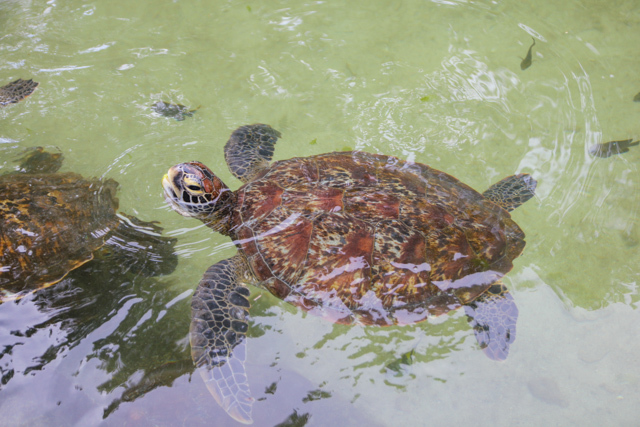 The aquarium is part of an effort to preserve sea turtles that hatch on the nearby Mnemba Island atoll, just off the coast of Zanzibar. If you love to SCUBA dive, there are a number of authorized PADI certified dive centers along the beach. There are quite a few dive sites near Nungwi, but probably the most famous and popular is around Mnemba Island. Nungwi is a good village to base yourself in if you're interested in diving. Nungwi village is known throughout Zanzibar as being the dhow sailboat building headquarters. A dhow is a traditional wooden sailboat, originally brought over from Yemen. To this day, dhows play an extremely important part in transportation and fishing in Zanzibar and all along the east coast of Africa. When you're in Nungwi, you can walk around the ship yard, located next to the ocean, where crews of men build beautiful new boats by hand. 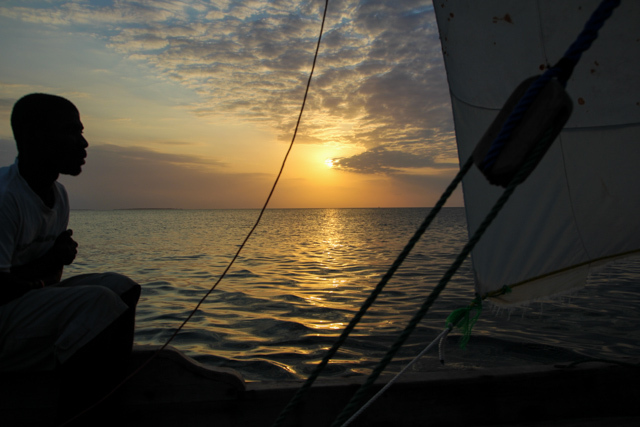 Also, what I think is one of the best things to do when you're in Zanzibar, is take a dhow cruise at sunset. Peacefully sailing with the breeze as the sun slowly declines over the Indian Ocean, is truly a majestic way to spend an evening. 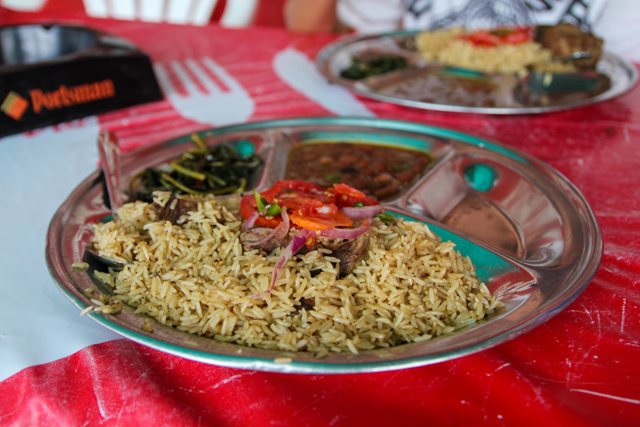 When it comes to eating in Nungwi, there are not too many options, and most of the restaurants are at hotels. If you're looking for a wonderful view of the ocean and quite good food at a hotel, try Langi Langi's restaurant. If you want to eat budget local Zanzibari food, there's a small restaurant known as Mina's, located adjacent to Jambo Brothers bungalows. The guys that run the restaurant are friendly, and they serve a decent plate of pilau rice with fish. When you visit Zanzibar, it's a great experience to spend some time exploring Stone Town, but if you want a beautiful beach experience, Nungwi has your name written on it. 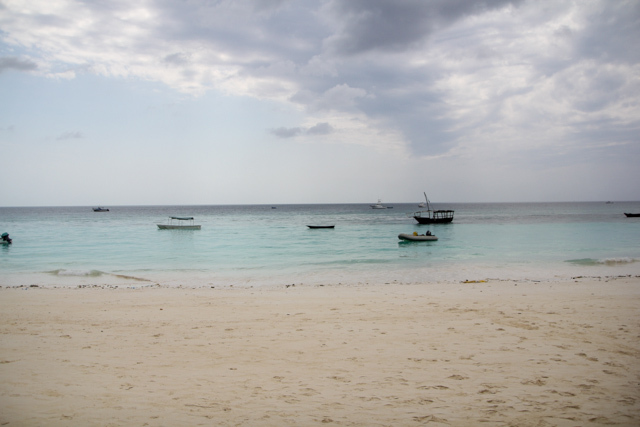 The beach of Nungwi looks stunning… actually, the whole place looks like an atmospheric paradise. I really have to try and plan an Africa / Indian Ocean trip. It looks well worth it and a little more off-the-beaten path. I heard that the Pilau rice is famous in Zanzibar.. nice place. I went it was absolutely beautiful. The only warning I have are the annoying beach boys.